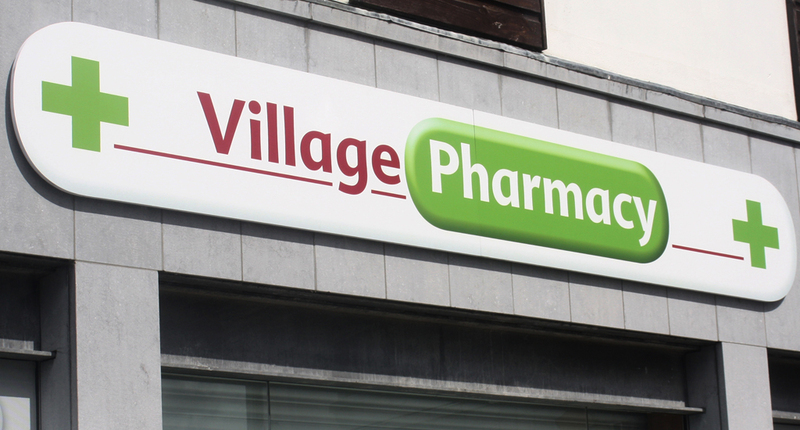 Sixmile Design was tasked with branding a new pharmacy that opened in Adare which is a village situated in Co Limerick. 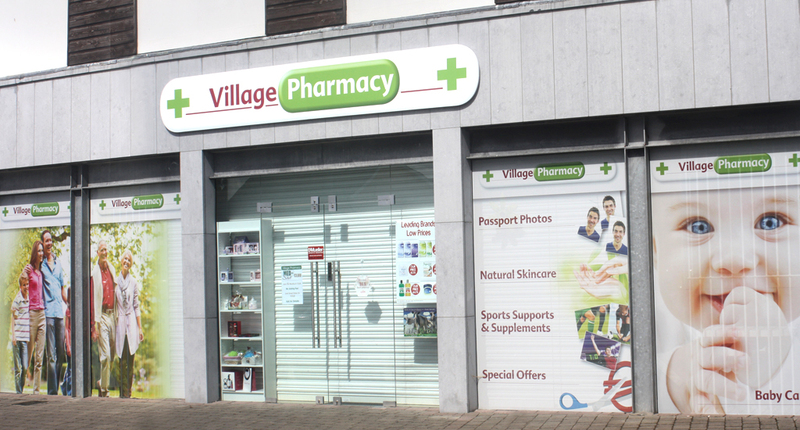 Key to this was the shop front signage design which is an integral aspect of any retail graphic design project. Great eye-catching design will help draw the customer into the shop. A visually engaging shop front can create huge impact generating interest in what you do and draw the customer in. 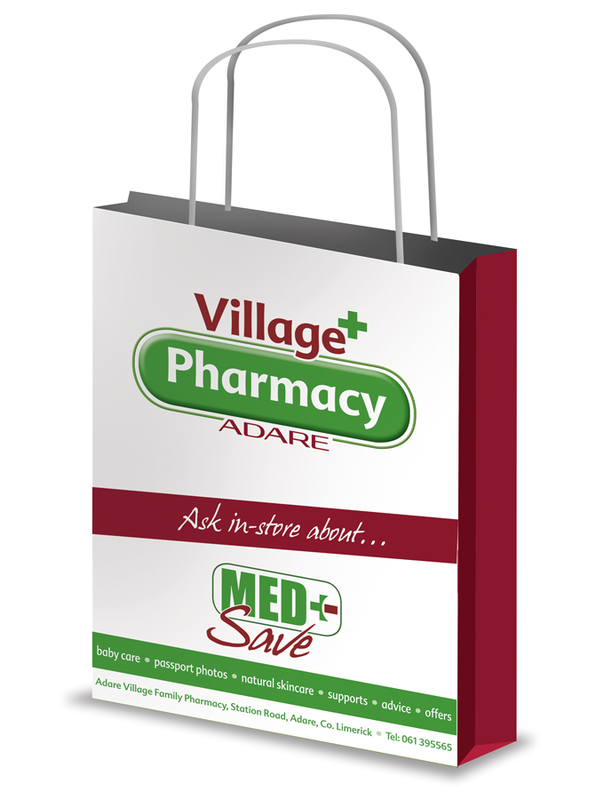 Two versions of the logo were designed, one for stationery and print, including appearing on the bag seen here while the other horizontal version appeared on the shop front above the door. The images appearing on the shop front were also carefully chosen with the idea of engaging with the potential customer. Overall, eye-catching graphic design and consistency across the applications is the key to creating a strong, recognisable brand.